Build any of 6 different jets, then light them up! 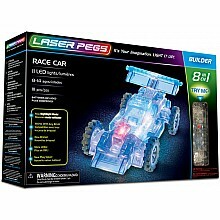 For ages 5-10 yrs, from Laser Pegs. Build any of 8 different racecars, then light them up! 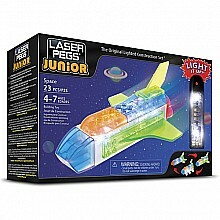 For ages 7-10 yrs, from Laser Pegs. Click the parts together, attach to the base, and the construction vehicle lights up! 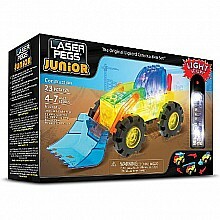 For ages 4-7 yrs, from Laser Pegs. Click the parts together, attach to the base, and the rescue vehicle lights up! 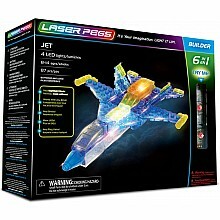 For ages 4-7 yrs, from Laser Pegs. Click the parts together, attach to the base, and the rocket lights up! 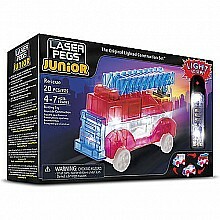 For ages 4-7 yrs, from Laser Pegs.